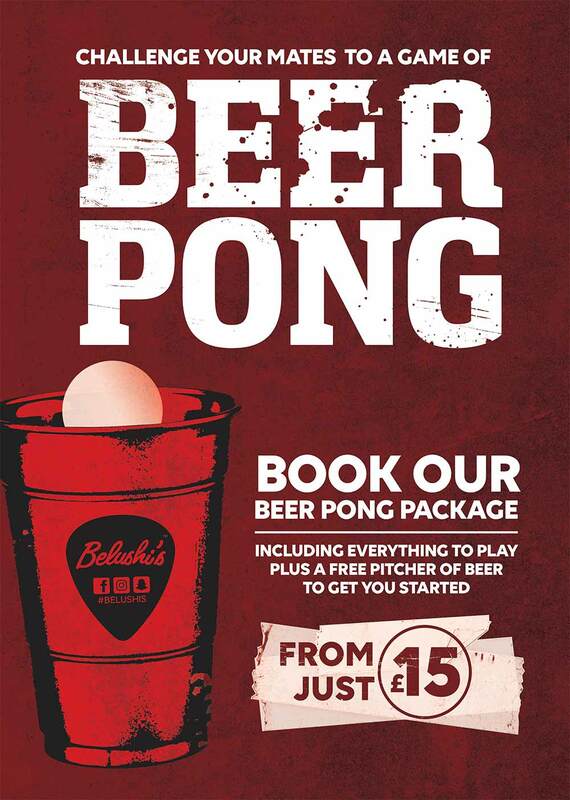 Get your beer pong on at Belushi’s in London Bridge! Grab your mates and reserve your spot for the ultimate drinking game! We are taking bookings every day with packages covering everything you need including a free jug of beer to get you started.